By increasing efficiency across all areas of the business we can help you achieve more impact with fewer resources. 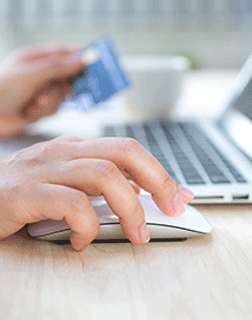 Customers can book and pay direct to your business account in your currency!. By engaging with your customers at a time that suits them, allowing them to book 24-7. Building your profile and increased exposure through effective digital engagement..
With award winning systems that have a proven track record and personalised support when you need it. 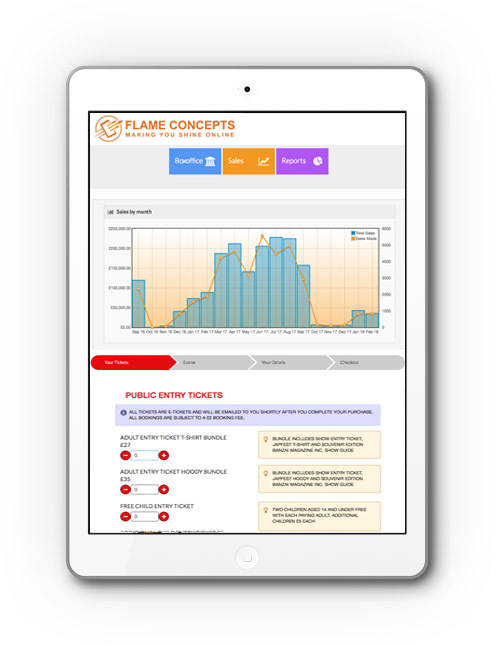 Our easy to use ticket and box office system provides a simple and enjoyable experience for the customer. As well as boosting sales, we can help you to access new technologies, learn new skills from RFID to AI. By reducing administrative burden on your staff, they can focus on their day jobs allow us to become your trusted partner. At Flame Concepts we use our expertise and award-winning technology to empower businesses of all shapes and sizes. We provide online tools and support so that you can take control of your event and ultimately, plan for the future. Our systems are designed to complement your business model, strengthen your offer and help you to deliver what your customers want. Our aim is to help you be more efficient and achieve more with less. Working with Flame Concepts couldn’t be easier. * Simply contact us today and we will start by finding out more about your event, conference or attraction. * Whether it is paid-for entry – as well as your vision for the future. ​Our team will look at what you need to achieve and provide a tailored proposal with associated costs. Once you have chosen your preferred options we can have you set up and ready to go within a few days, sometimes even quicker.